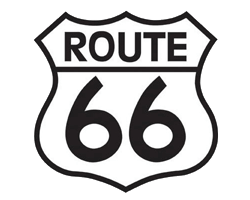 Above: Route 66 in Kansas. 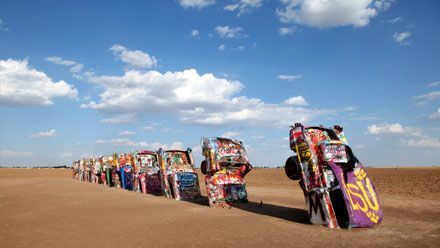 It might seem some sort of practical joke and yet Route 66 barely scratches the extreme south-eastern Kansas, running for 13 miles and touching 3 small towns: Galena, Riverton, and Baxter Springs. 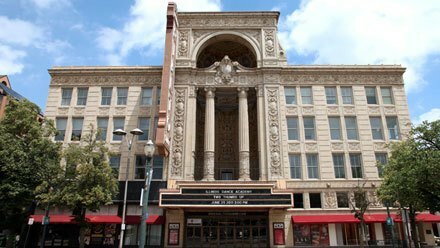 In short, it vaguely touches what the United States considers its geographic and cultural center. After hilly Missouri, Kansas gives us a first hint of the gigantic landscapes awaiting in the American Midwest, vast plains of wheat extending beyond the horizon, offering no resistance to the violent and ravaging tornadoes raging across the land from time to time. 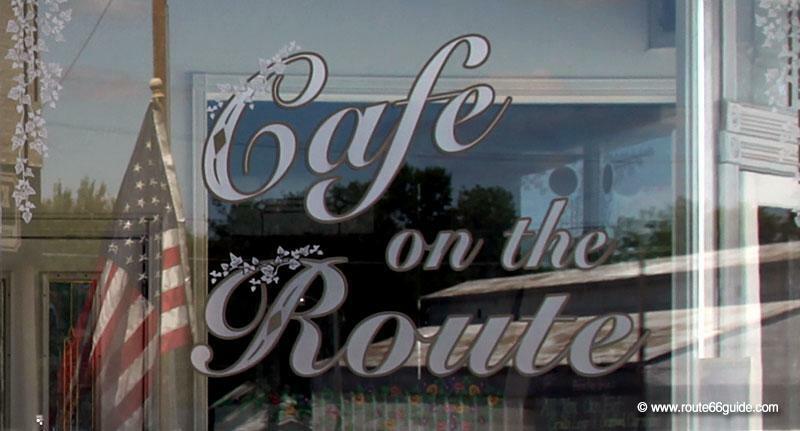 Above: Cafe on the Route in Baxter Springs, Kansas. 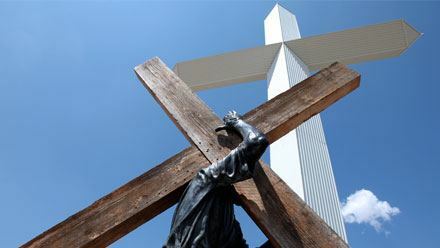 A rural and authentic land, Kansas is reminiscent of a not so distant time when cattle convoys and trains endured the attacks of outlaws, cowboys chased Indians, and pioneers from all over came to fight its wild nature and roam its infinite prairies. 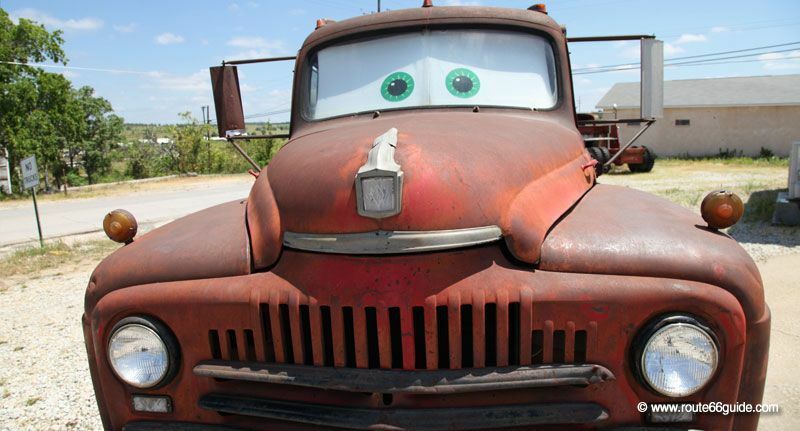 However, if we stay on Route 66 alone, we'll only scratch the surface. On the other hand, the south does not offer a picturesque scenery, it is a harsh land, of mining and miners. Regardless, the three localities near the transcontinental route do their best to leverage their admittedly short Route 66 stretch. Above: Cars on the Route (formerly 4 Women on the Route). 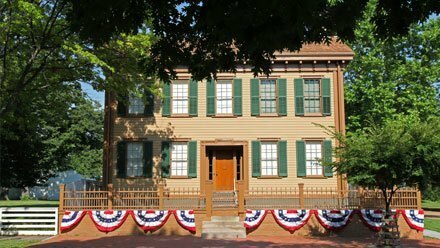 Galena, Kansas. 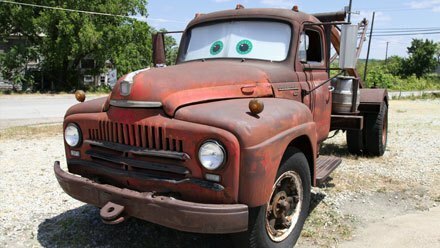 Interesting discoveries await as the "real Tow Mater", the tow truck in the movie "Cars" in Galena, or the last of the three "Rainbow Bridges" still standing, beautifully restored in a sparkling white around Riverton. Thus, a little but unavoidable detour. Besides, we're not going to quibble about ten miles, right? Above: Cars on the Route in Galena, Kansas. Nelson's Old Riverton Store (formerly Eisler Brothers Grocery and Deli) in Riverton brings together, in a joyful bric-a-brac, its groceries, souvenirs, and an antiques museum under the roof a cozy house with flowers, which also houses the Route 66 Association in Kansas. 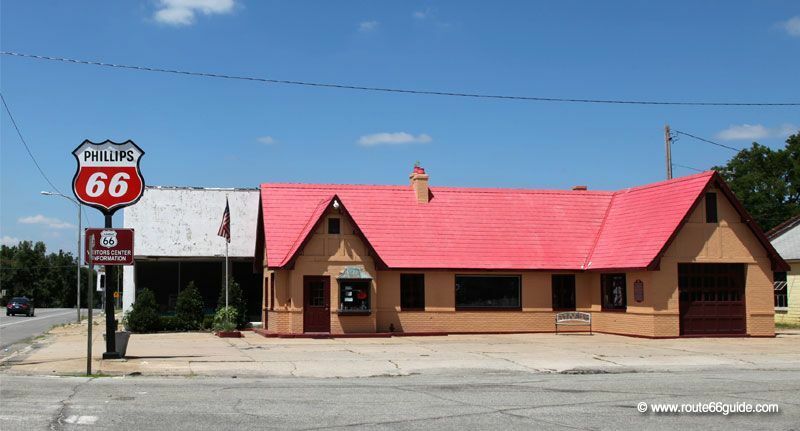 Above: The charming Nelson's Old Riverton Store, the perfect western setting with its summer terrace, where you can sip an ice cold drink overlooking Route 66. The Marsh Arch Bridge, near Riverton, presents an unusual architecture that has earned it the nickname "Rainbow Bridge". 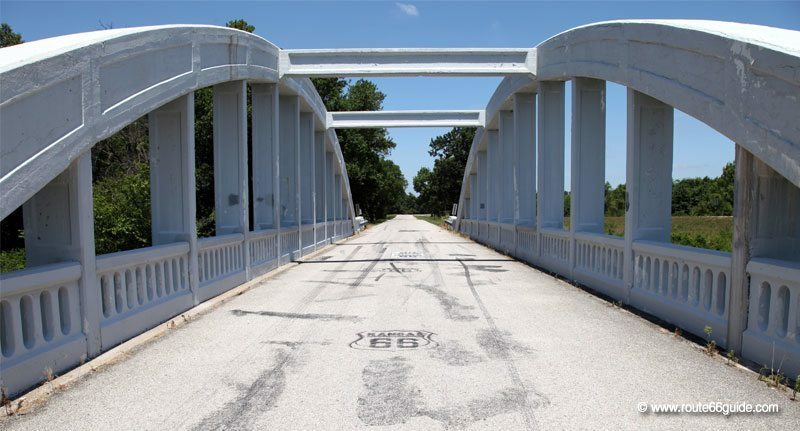 Route 66 ran through three similar bridges but this is the last still standing, now restored but still closed to traffic. 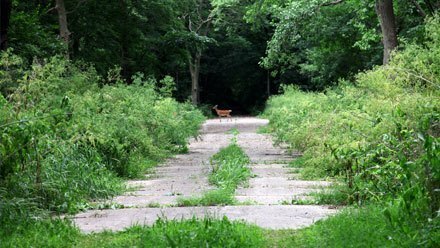 These days, it rests in a quiet, countryside setting, away from the traffic it once knew. Above: Marsh Arch Bridge (Rainbow Bridge). 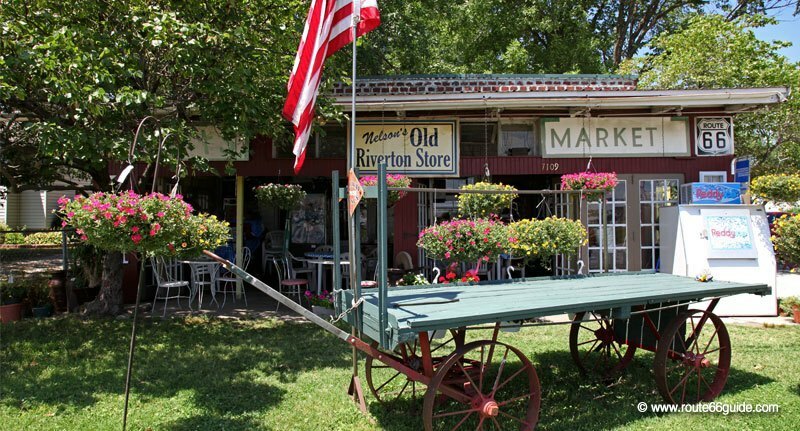 Riverton, Kansas. 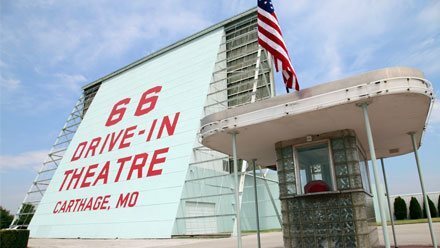 The Visitor Center in the Philips 66 station in Baxter Springs, is always a good idea to get an overview of the attractions along Route 66 in Kansas, exchange a few words with knowledgeable enthusiasts, but also discover this restored beautiful station of the legendary brand "Philips 66", which sits at the heart of the beautiful historic center. Above: Route 66 Visitor Center in Baxter Springs, Kansas. 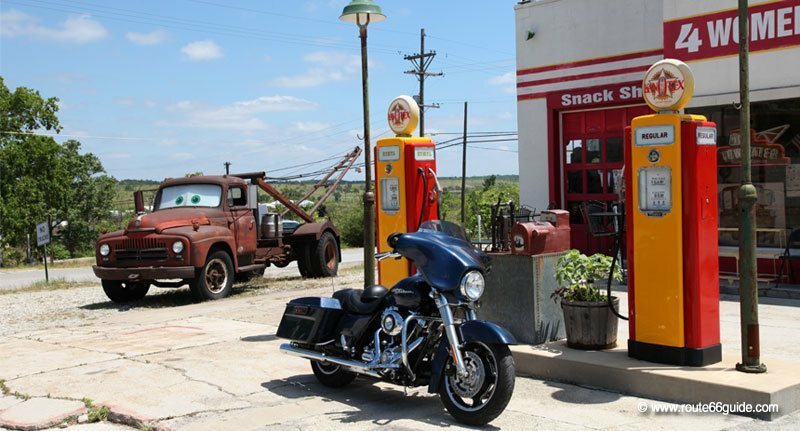 No major city, only three small towns along Route 66 in Kansas Galena, Riverton, and Baxter Springs. 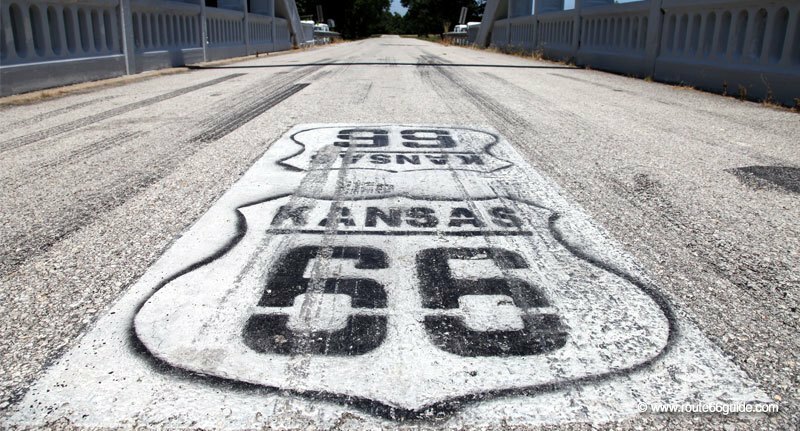 Kansas holds the record for the shortest Route 66 stretch, just over 13 miles! 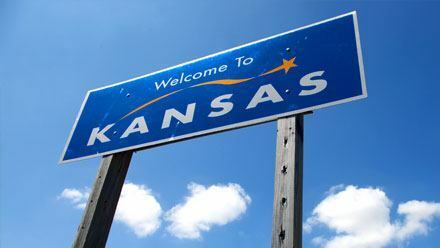 Kansas is considered the geographic center of the United States.